For young people, LBJ is history. For people old enough to remember, that history jumps alive. 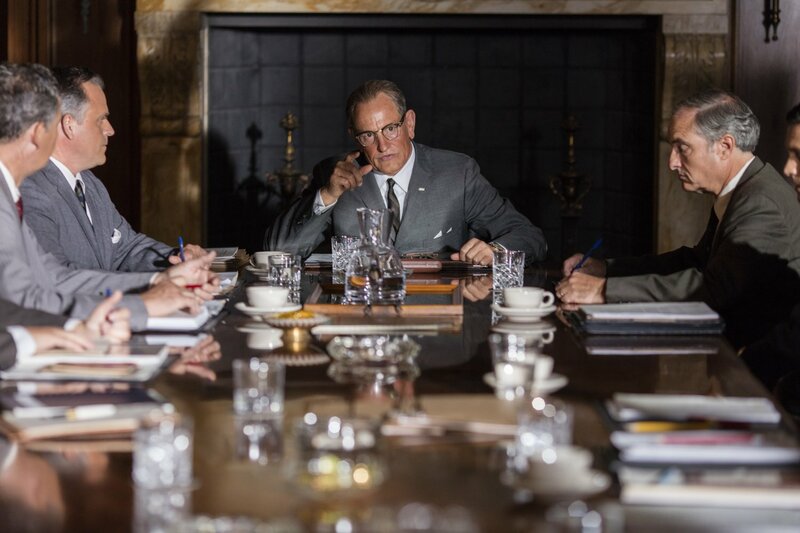 Director Rob Reiner, screenwriter Joey Hartshorne, and actor Woody Harrelson have caught the essentials of President Lyndon Johnson the raw boned, essentially insecure man who was always proving his power. The filmmakers have done a remarkable job of filming Johnson in a very narrow time frame with great originality. The entire film unfolds between the 1962 convention when John F. Kennedy became the Democratic nominee and asked – to the disgust of his brother/advisor Bobby Kennedy – Lyndon Johnson to be his running mate. From that point forward, the story unfolds in an intriguing mixture of actual news broadcasts and scenes from the new movie. Why did JFK want LBJ as his running mate? Perhaps because he had decided to focus on Civil Rights and he could neutralize Johnson by removing him from his power as Senate leader and tuck him away in the powerless vice presidency. The Kennedys underestimated their rival. The footage of the Dallas assassination and Johnson’s ascendency offer a sharp look at the inner workings of his mind as he gains the job he had always wanted. We watch him battle Georgia’s Senator Richard Russell (Richard Jenkins) over the Civil Rights bill he has seized surprisingly as his major goal. The arguments between Russell and LBJ show us yet again the depth of the everlasting gulf between South and North. The acting? It’s good. Woody Harrelson gives us Johnson’s raw, nasty nature despite being too short to lean over opponents with LBJ’s threatening battle stance. With his facial expressions nearly lost in heavy makeup, he is convincing as the man so famous for manipulating opponents. Standing beside him, Jennifer Jason Leigh is genuinely effective as she gives us Lady Bird’s odd combination of strength, affection, and loyalty to her unpleasant husband. In a revealing scene, Bobby Kennedy (Michael Stahl) confronts Johnson after the assassination of his brother with “You’ve made me politically irrelevant.” LBJ’s telling reply: “You’re looking to ’68.” This was a marvelous one scene capture of Johnson’s constant preoccupation with politics as personal power. The takeaway here lies in the skillful intercutting between the news broadcasts of Johnson’s ascendency in Dallas and his insistence – against all advice – on returning to Washington immediately. He is sworn in on the plane with Jacqueline Kennedy to his left and Lady Bird to his right. He has become president shortly after John Kennedy died in the hospital. The man tucked away in the vice presidency is in charge. The short two year time frame here is designed, acted, and directed with skill. A presidency that lasted just two years had been filled with bright men determined to bring their young strength to government. When LBJ asked a devastated Ted Sorenson to write his inauguration speech, tears were shed in the audience by those who remembered. Those of us who do remember must realize this happened 71 years ago. This review was posted on November 5, 2017, in Biography, Drama. Bookmark the permalink.